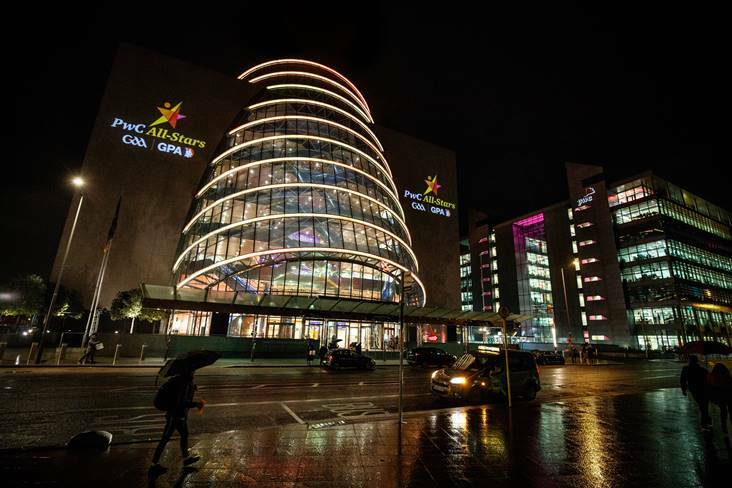 The Convention Centre in Dublin was the venue for the 2018 PwC All-Star awards ceremony. There was yet more glory for All-Ireland champions Limerick this evening as they were awarded six places on the PwC All-Star hurling team of 2018, and star players Cian Lynch and Kyle Hayes were unveiled as the Hurler of the Year and Young Hurler of the Year at Dublin’s Convention Centre. The Footballer of the Year Award winner is Dublin midfielder Brian Fenton, while Kerry’s teenage star David Clifford was crowned Young Footballer of the Year at the gala black tie event. It was a big night for the Treaty County. After defeating Galway to win their first Liam MacCarthy Cup since 1973, the six PwC All-Stars captured here brings their overall total to 53 hurling awards, and the 2018 tally is one better than the five awards they received when they defeated Kilkenny in the 1973 decider. Sean Finn, Richie English, Declan Hannon and Dan Morrissey dominate the defence, while Cian Lynch is named in midfield, with Graham Mulcahy completing the full forward line. Four other counties share in the awards with Kilkenny’s Eoin Murphy picking up his second PwC All-Star for his goalkeeping heroics. Galway dual star Daithí Burke makes it a remarkable four in a row for All-Star awards at full back, while Hurler of the Year Nominee Galway’s Pádraic Mannion is named at wing back. Cork’s Darragh Fitzgibbon completes the midfield line up, with his Rebel County teammates Seamus Harnedy and Patrick Horgan named in the attack - where Horgan is now a three-time All-Star. Joe Canning is again named in the centre forward position and claims a staggering fifth career PwC All-Star in the process. Clare’s prolific duo of John Conlon and Peter Duggan complete the forward list. Uachtarán CLG John Horan congratulated the 2018 winners. He said: “My congratulations to all of those who have been lucky enough to be crowned a PwC All-Star here tonight and in doing so join a list of so many of the greats to have played our Games. “I congratulate all of those who were nominated – especially coming as it does after a 2018 hurling summer that will live long in the memory of those of us fortunate enough to have been witness to so much skill and excitement. Paul Flynn, Gaelic Players’ Association Chief Executive added: “Congratulations to all those who have been named as Hurling All-Stars this year. The standard of the game is continually improving, and this year’s championship proved to be one of the most exciting in recent years, so be named as one of the top 15 hurlers in the country is a huge honour. Commenting on the announcement, Feargal O&#39;Rourke, Managing Partner, PwC, said: "I would like to take this opportunity to congratulate all 45 hurlers who have been recognised for their efforts this year. “To be shortlisted for a PwC All-Star is an incredible achievement in itself, so each player should be very proud of the commitment they have made to be at the top of their game for their respective counties. 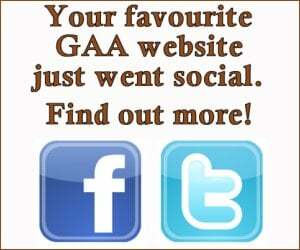 As sponsors, we are delighted to partner with the GAA and GPA to celebrate the excellence of these players. I would like to congratulate every PwC All-Star Award nominee for their huge commitment to excellence both on and off the field." The PwC All-Star team was selected by a panel of senior Gaelic Games Correspondents and chaired by Uachtarán CLG John Horan. The overall Player of the Year Awards were voted on exclusively by inter-county players themselves. From the Patrickswell club, Cian Lynch’s tireless efforts and inspirational contributions were a key feature of a memorable summer for Limerick. The 22 year-old cemented his status as one of the marquee players in the game. At just 20 years of age, Kyle Hayes was one of the youngest members of the Limerick team under John Kiely in 2018, but the Kildimo Pallaskenry man repeatedly stepped up when needed and made a big impact in the All-Ireland final and is now Young Hurler of the Year. Named this week in the PwC All-Star Football team beside his clubmate Brian Howard, Raheny’s Brian Fenton holds the distinction of never having lost a senior Championship match, having made his Dublin debut at the start of their remarkable four in a row run in 2015. He has been ever present in midfield and has established himself as one of the most influential players in the game. From Fossa, David Clifford made his senior Championship debut this season at the tender age of 19 and carrying a weight of expectation after his stunning exploits at minor level. He made light work of that attention however, to make a seamless transition to the top flight, with his eye for scores setting him apart as something special and has landed him a PwC All-Star and Young Footballer of the Year. 1. Eoin Murphy (Kilkenny). Previous winner in 2016. 2. Sean Finn (Limerick). First time winner. 3. Daithi Burke (Galway). Previous winner in 2015, 2016 & 2017. 4. Richie English (Limerick). First time winner. 5. Padraic Mannion (Galway). Previous winner in 2017. 6. Declan Hannon (Limerick). First time winner. 7. Dan Morrissey (Limerick). First time winner. 8. Cian Lynch (Limerick). First time winner. 9. Darragh Fitzgibbon (Cork). First time winner. 10. Peter Duggan (Clare). First time winner. 11. Joe Canning (Galway). Previous winner in 2008, 2009, 2012 & 2017. 12. Seamus Harnedy (Cork). Previous winner in 2013. 13. Patrick Horgan (Cork). Previous winner in 2013 & 2017. 14. John Conlon (Clare). First time winner. 15. Graeme Mulcahy (Limerick). First timer winner.